The team at POM was generous enough to send me some of the new POM Wonderful POM POMs Fresh Arils to try out. What’s great about this POM product is that it saves you the hassle of having to seed a pomegranate yourself. The POM POMs can be used on yogurt, granola, a salad. 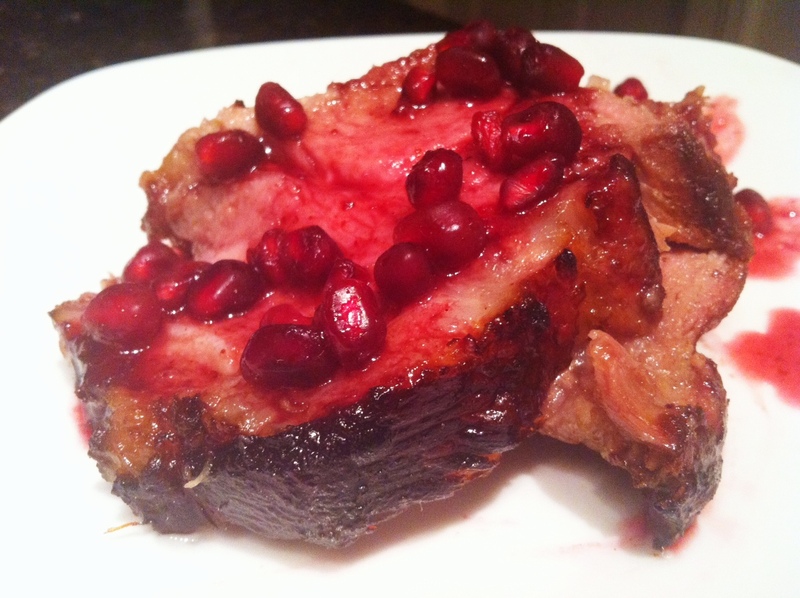 There are many ways to use the arils, but I chose to use them to make a Pomegranate-Glazed Pork Roast. The acidity of the pomegranate juice and arils really went well with the fattiness of the pork. Prep the pork roast by seasoning with salt and pepper and placing in a roasting pan. To make pomegranate glaze, combine pomegranate juice, sugar and mustard in a sauce pan over medium heat. Whisk together all ingredients. Boil until roughly 1/2 cup of liquid remains. Then set aside to cool and thicken. 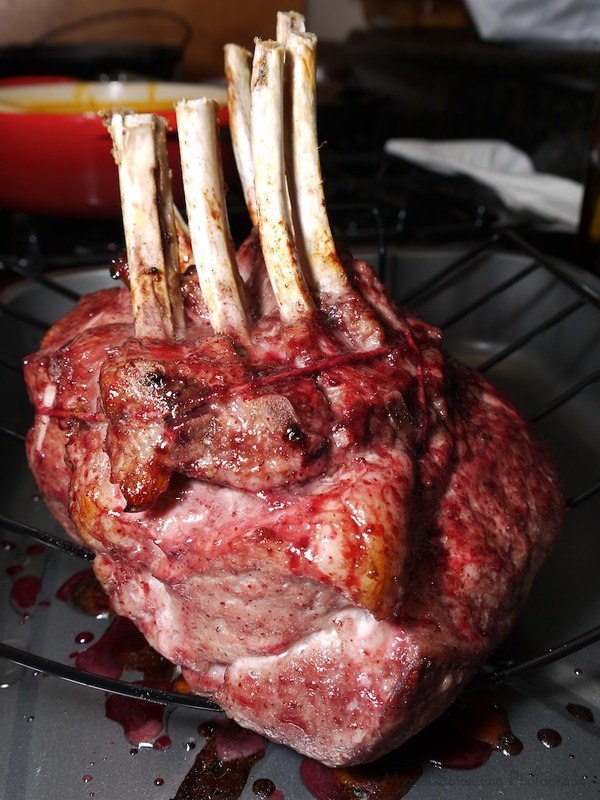 Drizzle 1/4 of the glaze over the pork roast and place the roast in the oven. Glaze the roast two more times during roasting. Make sure some glaze remains. Cook until pork temperature registers between 145F to 160F. Remove from oven to rest. After resting, cut roast into slices, drizzle with remaining glaze and garnish each portion with POM POMs arils. This was a dish I made for Christmas, but it’s a great meal for a dinner party. The pomegranate and pork work really well together, especially with the added kick of the Creole mustard. Using the POM POMs arils will give the dish a little crunch and another nice pop of flavor. For more POM product recipes, you can visit the POM recipes page. To learn more about POM POMS Fresh Arils, visit the POM product page. During the holiday season, if you’re looking for an alternative to turkey and ham, I highly encourage you to consider duck. Duck is one of the richest meats on the market and it’s become one of my favorite. Making Duck Confit doesn’t require much. You just have to let the duck cook slowly in it’s own fat. Once it’s done, it should fall off the bone. Poke several holes in the duck pieces’ skins so the fat can breath. In a large skillet or dutch oven, place all seasoning, shallots and garlic in the bottom with the duck fat. Place in oven until duck fat is melted. 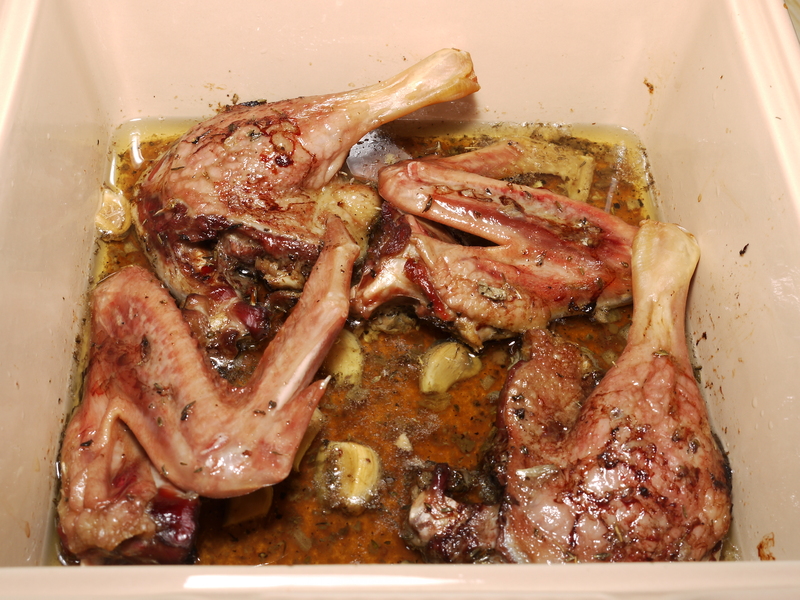 Put in the duck pieces, skin side up and cook until the duck is tender and can be pulled from the bone (about 3 hours). Remove from oven, let cool, then serve. Save the duck fat. Whatever you do, do not discard the duck fat! Duck fat is perfect for cooking potatoes, other vegetables or anything that you would normally use bacon grease for. As for the duck meat, you can serve it however you choose — in a salad, with pasta, curry, etc. Duck is very versatile so the possibilities are nearly endless. Save a turkey, roast a duck. 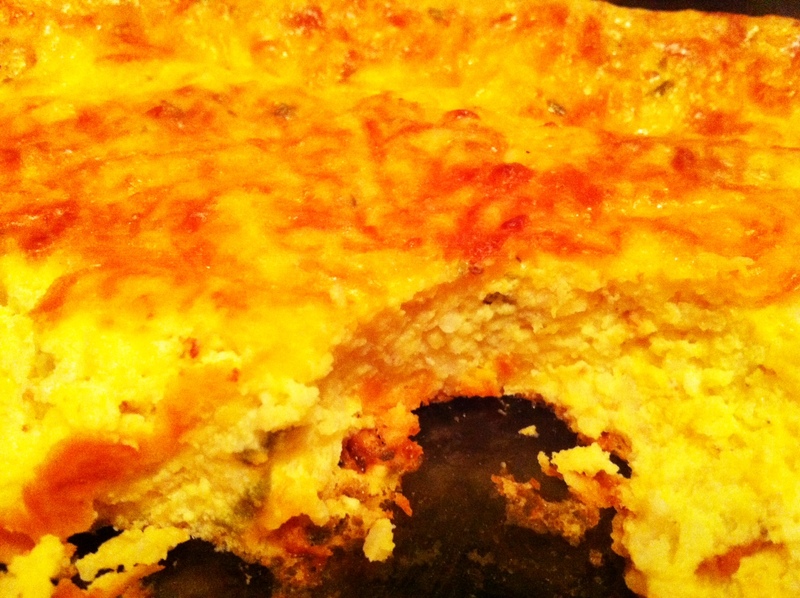 If you’re looking for a Southern dish to accompany your holiday feast(s), try this Grits Souffle. 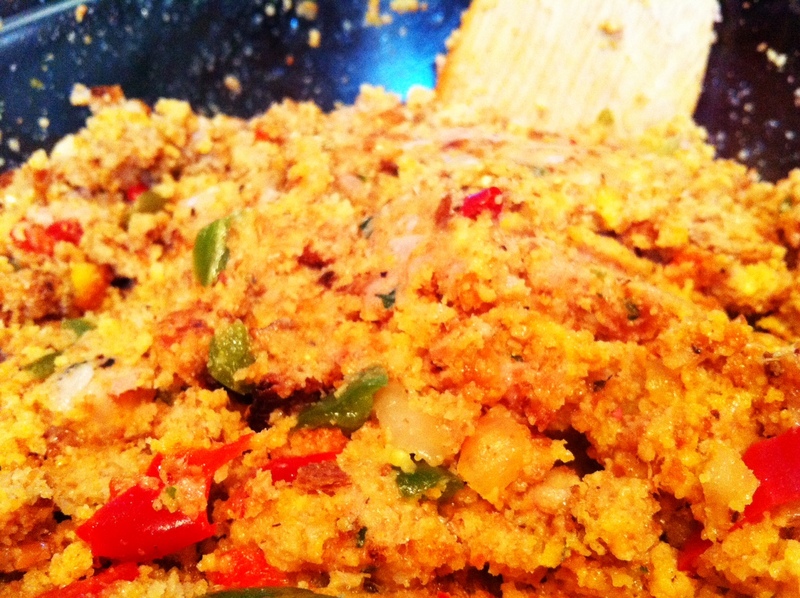 It’s a great substitution for cornbread dressing. 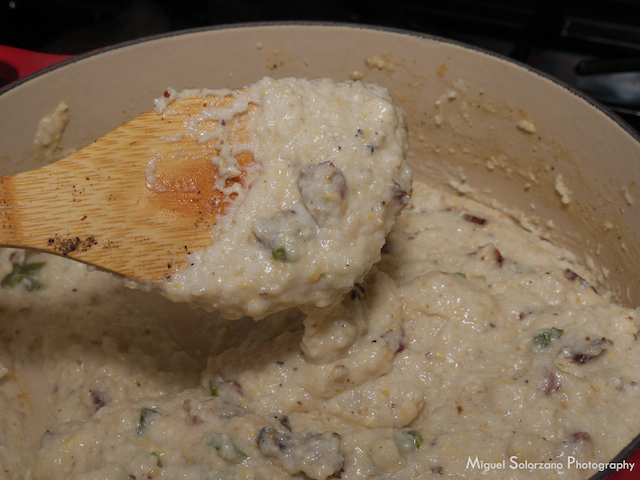 The bacon, jalapeño, chives and cheese all complement the grits very well. This recipe is a little time sensitive, but it doesn’t require too much attention. Butter a 2-quart casserole or baking dish. Bring 4 cups of milk or chicken broth (or any combo of the two) to a simmer in a large saucepan, gradually whisking in the grits. Meanwhile, place chopped bacon in a separate bacon dish and cook in over for approximately 20-30 minutes (until crisp). Transfer to paper towels to drain when crisped. Whisk eggs and cream in medium bowl and whisk into grits in 3 additions. Stir in 1 3/4 cups cheddar cheese, chives, jalapeño, bacon, salt and pepper. 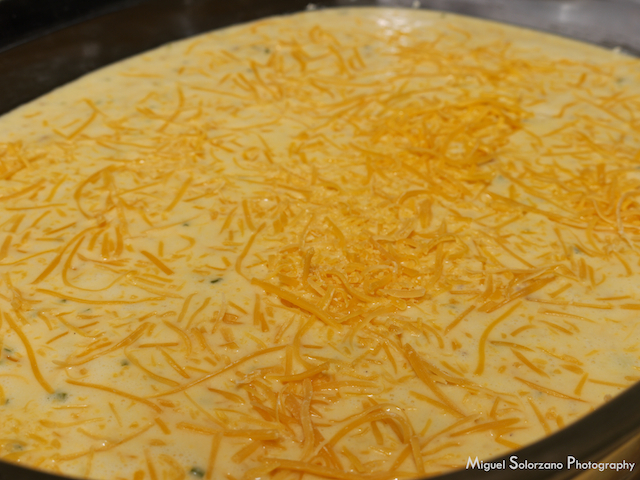 Transfer grits mixture to buttered casserole dish and sprinkle remaining cheese on top. Bake dish until golden and just set in the middle, about 1 hours. Let cool for 10 minutes then serve. 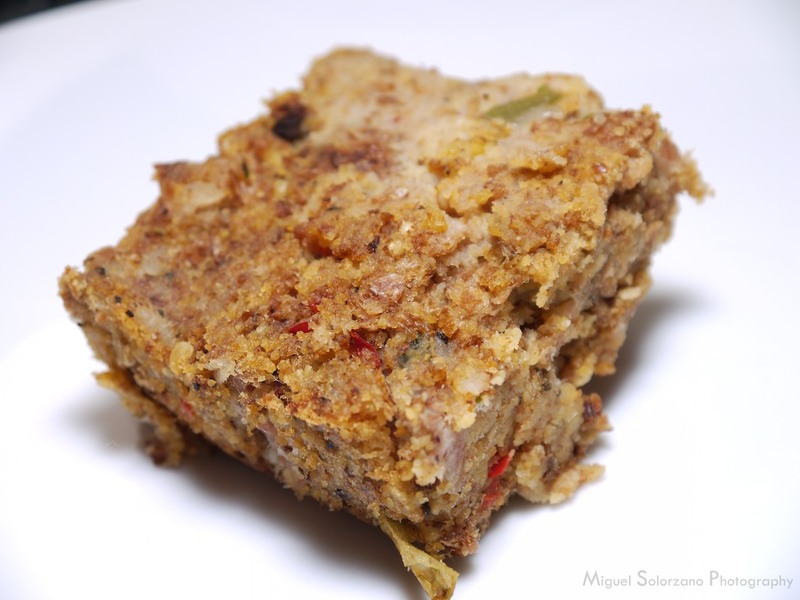 This dish is guaranteed to be a hit at your holiday festivities. Feel free to add additional bacon or jalapeño to flavor it to your palette.